When managing lower back pain, our Oakville chiropractors know how important it is that exercise be included in the rehabilitation process. Even from the early treatment stages, exercises should be introduced. Our Chiros say this helps to protect the lower back and expedite the recovery process. Too often, people jump into doing exercises that are too advanced too quickly. Learning how to activate the core musculature is essential before trying these more advanced and demanding exercises. 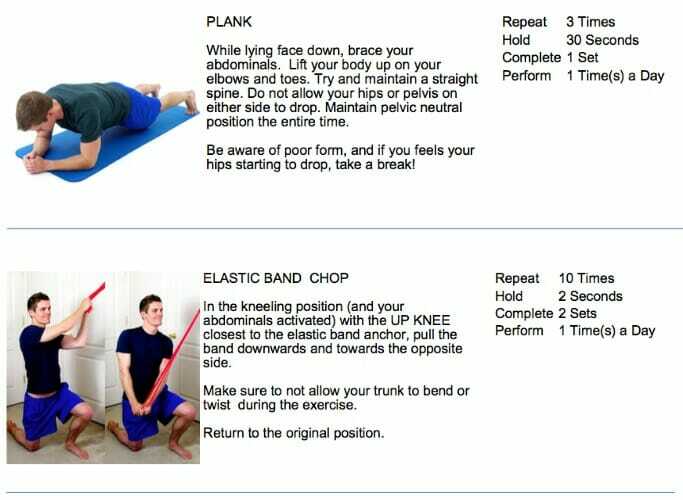 Visit our ‘beginner exercise’ page for a list of safe, early stage exercises. If you’ve already mastered the activation of the deep core muscles, then you may be ready to try some more advanced techniques. These exercises are more challenging. They will help build a stronger lower back that is more resistant to injury and dysfunction. Consult with one of our chiropractors if you have specific questions about these exercises or are wondering if they are appropriate for you.